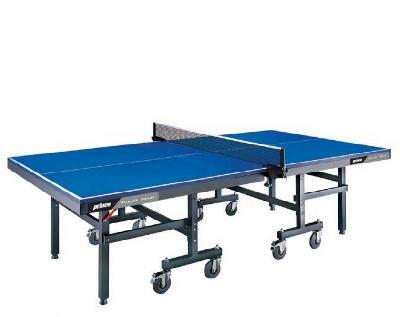 The Prince PT2010 Tour-MAX Table Tennis Table is the newest edition to the highly respected Prince Table Tennis Line. With a solid 1” top and 2-5/16” apron, along with 2” tubular steel legs and 5” casters the PT2010 is by far the most rugged and sturdy table in the line. This table is built to last and withstand even the most rigorous play! Table apron: 2-5/16" x 1-1/4"